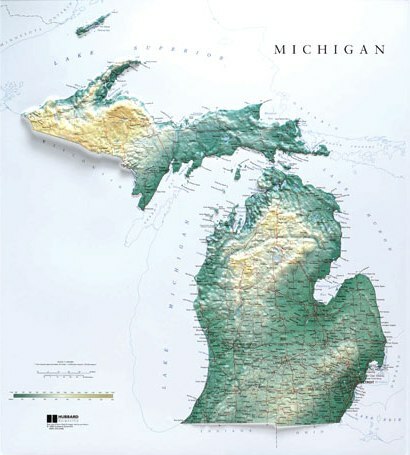 I love Michigan, if for no other reason than it has the most interesting shape of any state: that of an upturned mitten. Every time I see it on a map I imagine that the wintery glove hides an extended middle finger. Florida may be the Sunshine State, but Michigan has more swagger, more attitude. Call it the F-U state. The Upper Peninsula, or ‘U-P’ in the local vernacular, ruins the effect to some degree. It’s for that reason I don’t really consider it part of Michigan. Separated from the rest of the state by Lake Michigan on one side and Huron on the other, a skinny bridge provides the only physical link between the mitten and the U-P. Better, in my mind, to consider it part of Wisconsin. But Michiganders are attached to the U-P, if only emotionally. They say it offers some pretty spectacular natural scenery. Wanting to judge for ourselves, we drive up the middle finger and directly into Wisconsin, um, I mean Michigan’s Upper Peninsula, for what we expect to be some great hiking and kayaking.